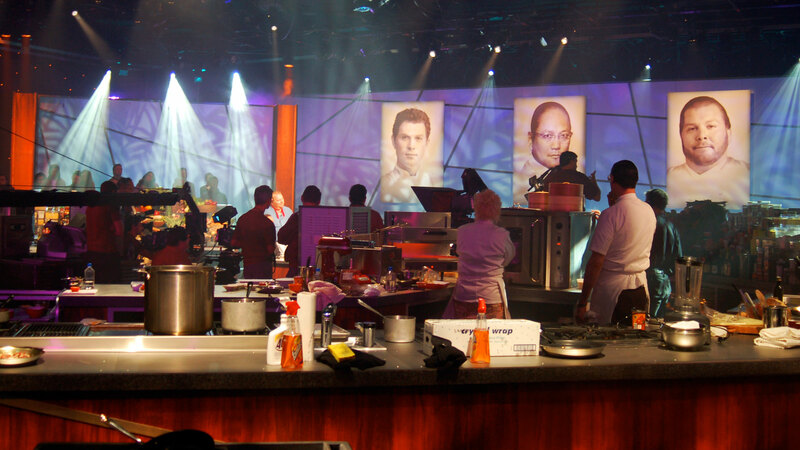 Theme : Chickpeas Atlanta chef Richard Blais faces Iron Chef Mario Batali. 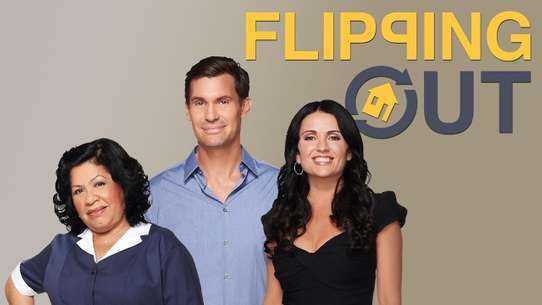 Judges: Jeff Corwin; Maureen Petrosky; Drew Nieporent. 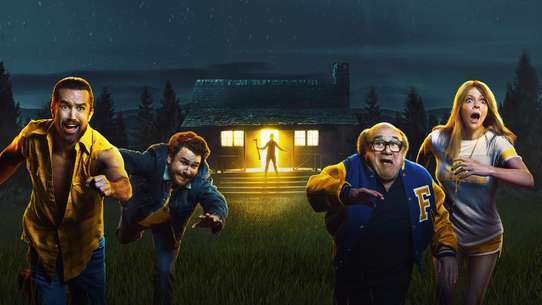 Two teams of culinary brothers meet in Kitchen Stadium. 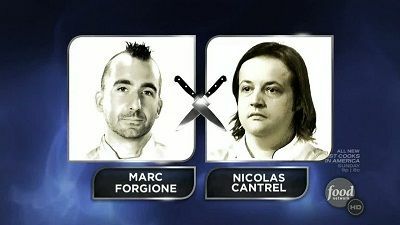 Iron Chef Marc Forgione teams up with his brother, Bryan, to face off against Challenger Joey Campanaro and his brother Lou. 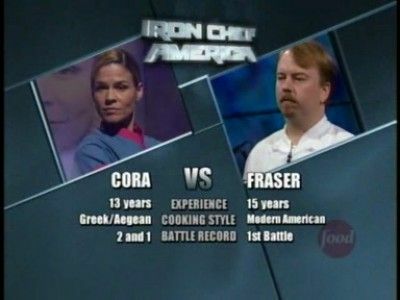 Joey Campanaro makes his second appearance in Kitchen Stadium, having previously been bested by Iron Chef Cat Cora in Battle Venison. 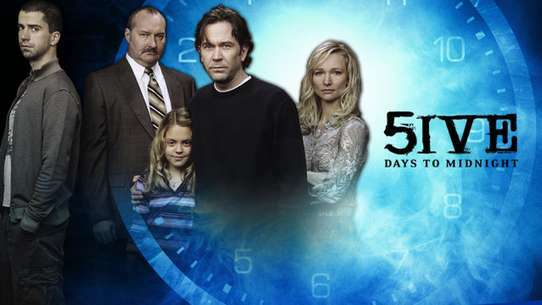 Judges are Cady Huffman, Mario Rizzotti and Anya Fernald. 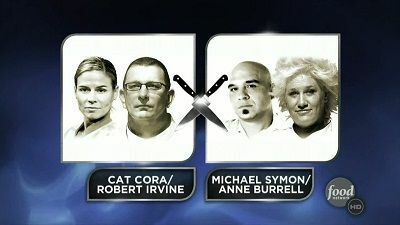 Theme : Deep freeze (multiple courses with a specified ingredient, containing a frozen element) Michael Symon and Anne Burrell team up to take on Cat Cora and Robert Irvine. 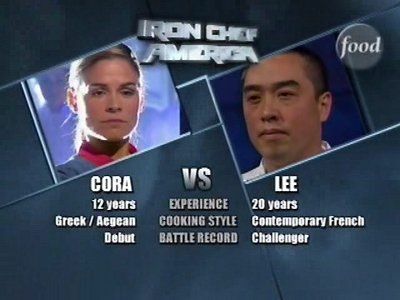 Theme : Pork Los Angeles Chef Neal Fraser takes on Iron Chef Cat Cora. 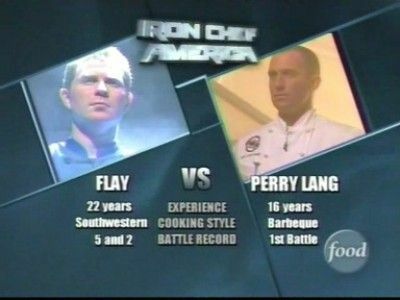 Theme : Chicken Iron Chef Bobby Flay faces famed barbecue chef Adam Perry Lang. 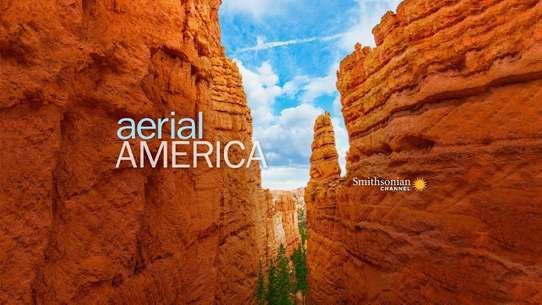 Theme : Mexican chocolate Mexico City native Chef Julian Medina enters Kitchen Stadium to challenge the master of Latin food, Iron Chef Jose Garces. 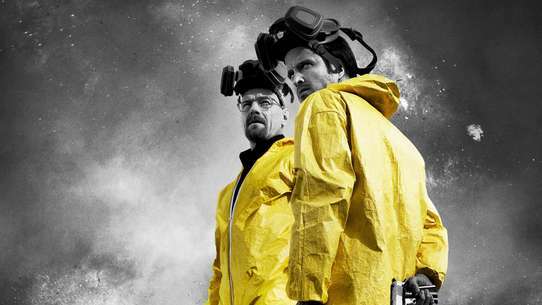 Which chef has the flavor, and which will fall flat? 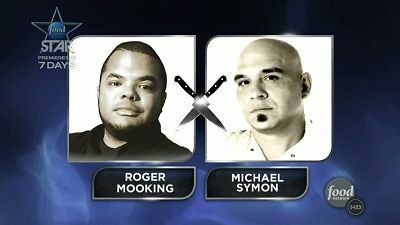 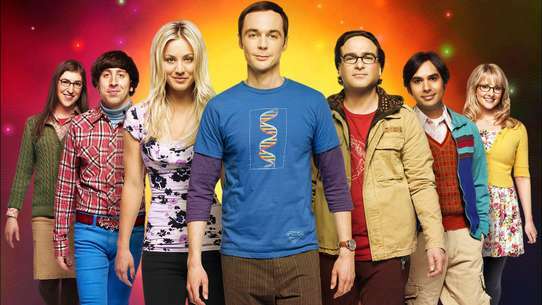 Theme : Hot dogs Toronto chef Roger Mooking ("Everyday Exotic") battles Iron Chef Michael Symon in Kitchen Stadium. 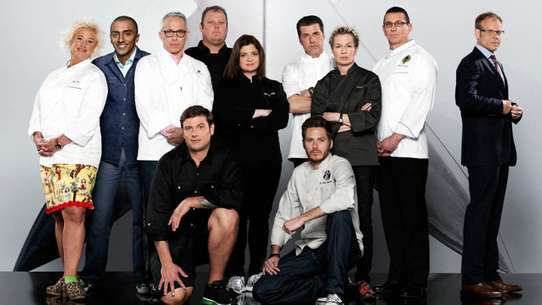 Theme :Black bass The ingredient is black bass as Iron Chef Masaharu Morimoto takes on challenger Aaron Sanchez. 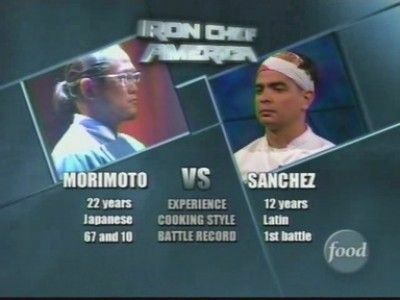 Theme : Scallops In this battle to the finish, Iron Chef Morimoto takes on Challenger Roberto Donna. 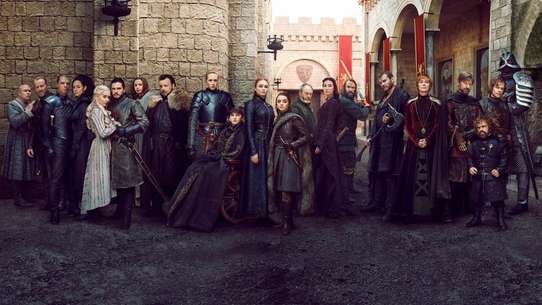 See whose cuisine reigns supreme. 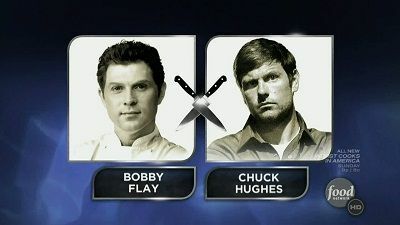 Theme : Canadian lobster It's network vs. network when Cooking Channel host Chuck Hughes uses his "Day Off" to enter into battle at Kitchen Stadium. 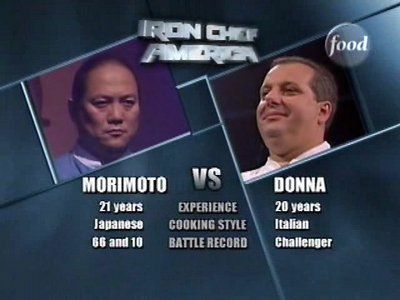 Will Iron Chef Bobby Flay defend the honor of the Chairman, or will the new kid on the block take him down? 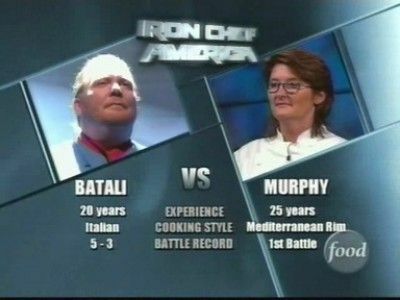 Theme : Crawfish Iron Chef Mario Batali faces Seattle chef Tamara Murphy. 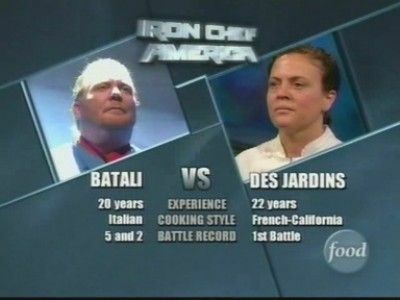 Theme : Shrimp Iron Chef Mario Batali takes on challenger Traci Des Jardins. 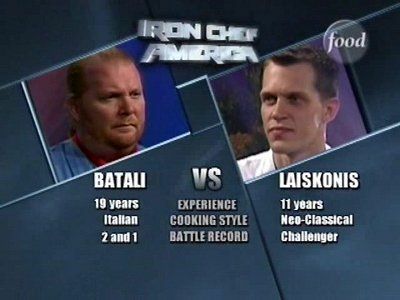 Theme : Coconut and Chocolate Witness Iron Chef Batali take on Challenger and Pastry Chef extraordinaire Michael Laiskonis in one sweet battle! 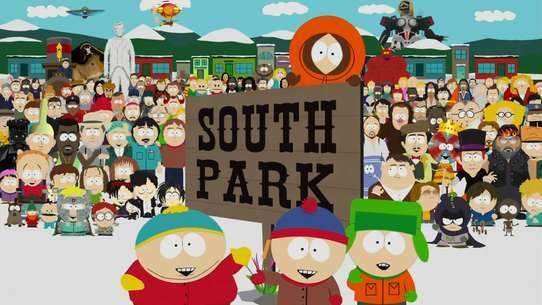 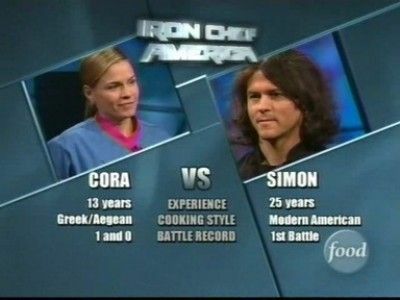 Theme : Hamburger A hamburger battle pits Iron Chef Cat Cora against challenger Kerry Simon. 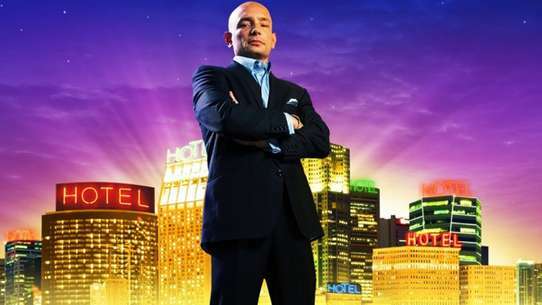 Theme : Gruyère cheese New York-based chef Nicolas Cantrel enters Kitchen Stadium to take on the newest addition to the Chairman's Iron Chef team, Marc Forgione. 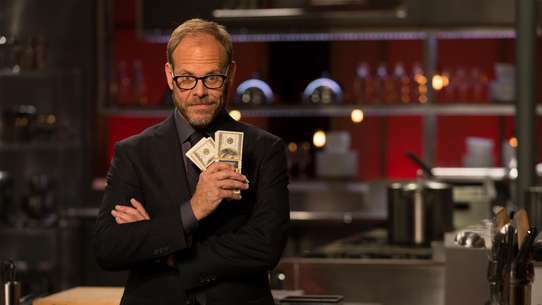 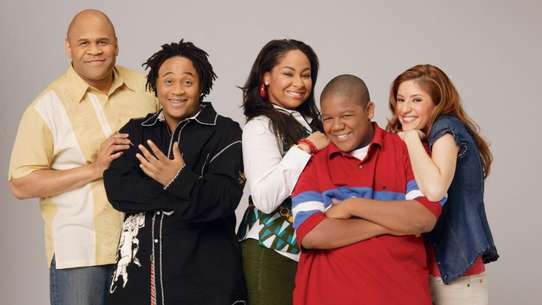 Will the Iron Chef do the Chairman proud, or will Chef Cantrel take down the newly crowned? 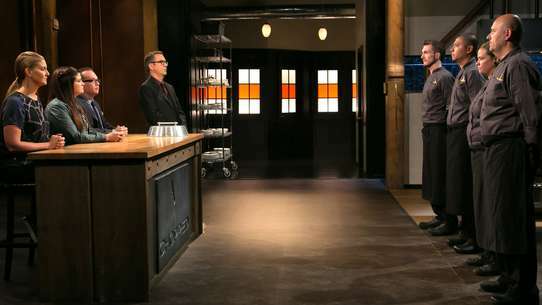 Iron Chef Geoffrey Zakarian faces off against challenger Michael Ferraro, executive chef at Delicatessen and Macbar in New York City. 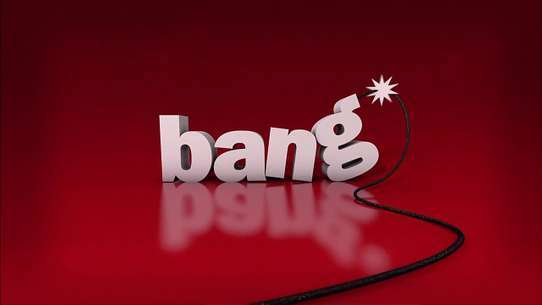 Judges are David Rosengarten, Ching-He Huang and Phil Rosenthal. 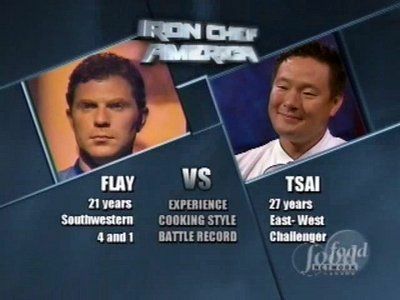 Theme : Duck Iron Chef Bobby Flay takes on Challenger Ming Tsai in a battle to remember! 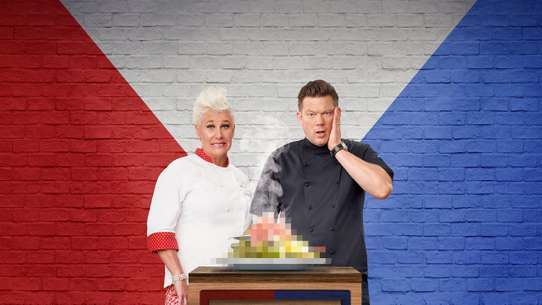 See these two great culinary stars go head to head! 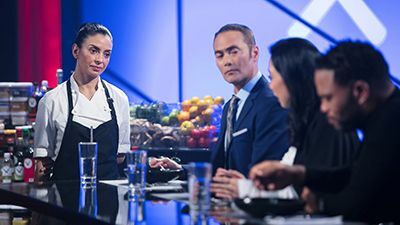 Theme : Potato The Chairman introduces a NEW Iron Chef into the mix, pitting new Iron Chef, Cat Cora against reknowned chef, Alex Lee. 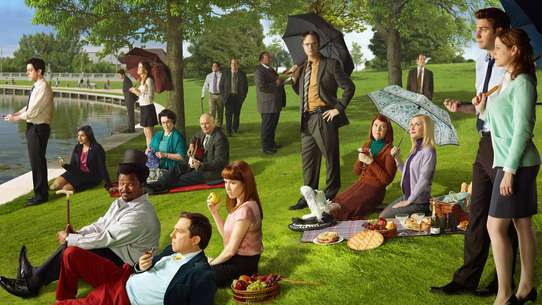 See who's cuisine reigns supreme. 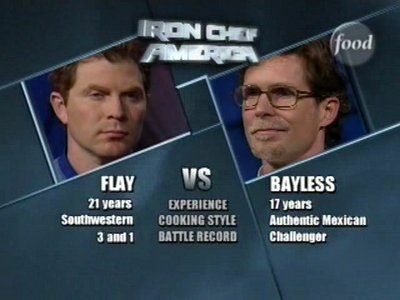 Theme : Buffalo Iron Chef Bobby Flay takes on Challenger Rick Bayless in a battle of southwestern flair. 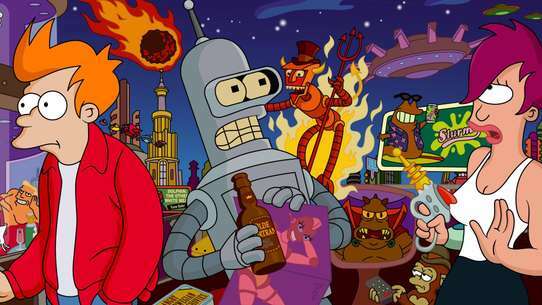 See who’s cuisine reigns supreme!